People waste way too much food and food waste comes in many different forms. A recent report from the Natural Resources Defense Council and Harvard Law School's Food Law says Americans are prematurely throwing out food, largely because of confusion over what expiration dates actually mean. 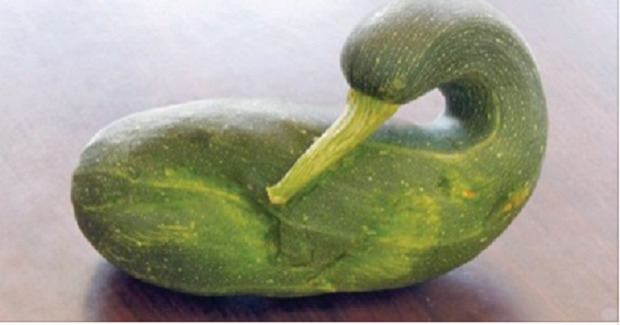 According to one major world study a shocking 1/3 of all food produced, or 1.3 billion tons, gets lost or wasted and many of the world's 'ugliest' fruits and vegetables never even make it to store shelves. Instead, they are tossed into the garbage. 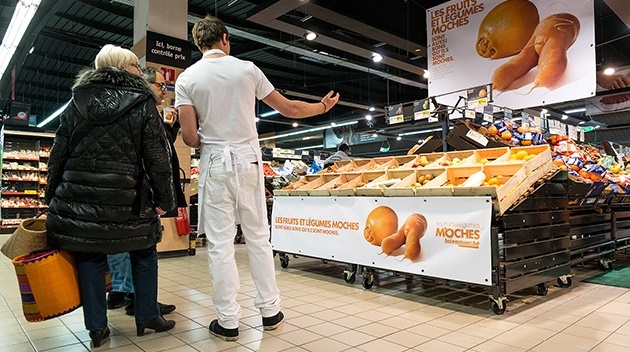 Intermarché is a French supermarket chain that has taken it upon themselves to do their part to help solve this problem. The store has recorded 24% more foot traffic since it started putting its own twist and branding on the 'ugly' fruits and veggies. Journalists in France are now suggesting that every supermarket in the country should do the same. Let us know what you think in the comments sections below.